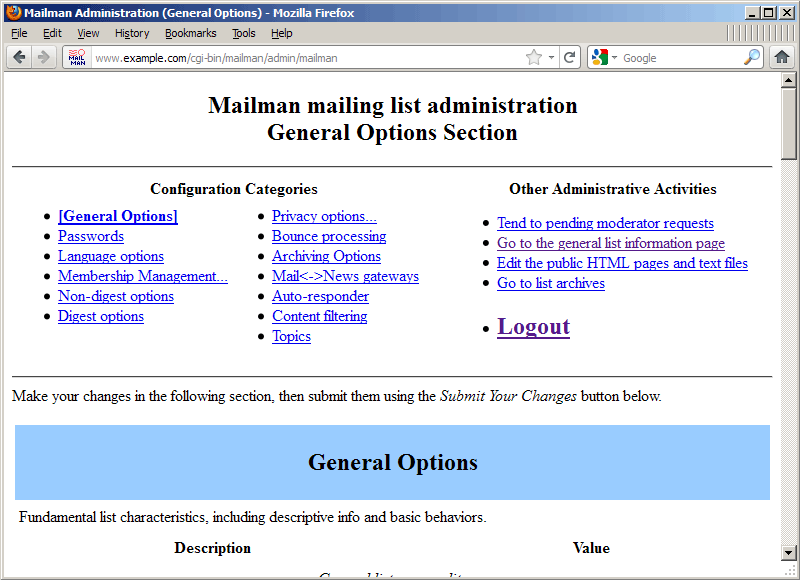 The Mailman package from the Debian/Ubuntu repositories comes with a configuration for Apache, but not for nginx. 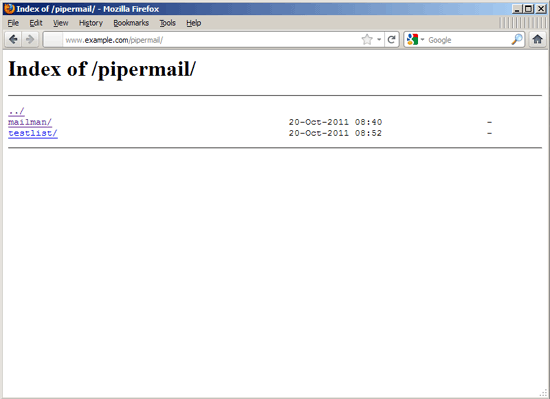 This tutorial shows how you can use the Debian Squeeze/Ubuntu 11.04/11.10 Mailman package in an nginx vhost. Nginx is a HTTP server that uses much less resources than Apache and delivers pages a lot of faster, especially static files. 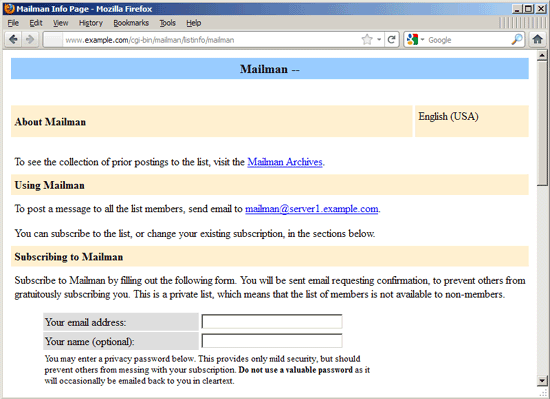 I want to use Mailman in a vhost called www.example.com/example.com here with the document root /var/www/www.example.com/web. Make sure you use the correct socket in the fastcgi_pass unix: line. By default the fcgiwrap socket is /var/run/fcgiwrap.socket. Hello. Thanks for this nice tutorial. Since mod_cgi on my lighttpd box is really somehow slow, and apache2 istoo much of an overkill, i thought i might give this one a try. 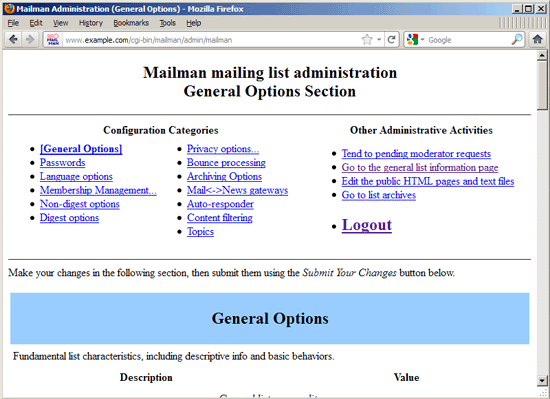 However, could you please update your tutorial in a way that the cgi-bin disapears from the mailman urls, and that when you type www.example.com the page with the public mailing lists apears? 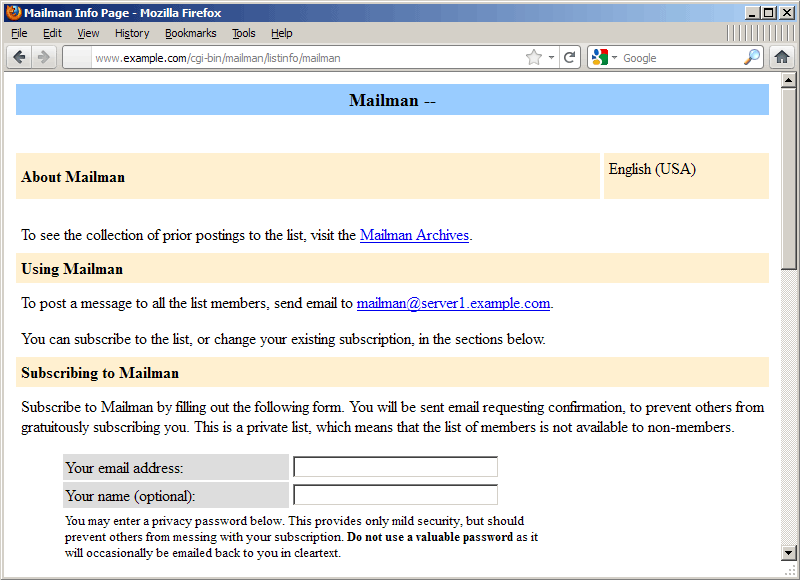 I just don't want my users to type /cgi-bin/ or /mailman/. Thanks a lot.